Visual storytelling is my passion. 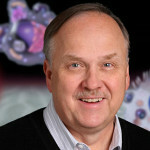 As an illustrator I move pencils, paint, and pixels to visualize and explain complex medical and scientific processes. As a designer, I use imagery and written content to further tell the story graphically by arranging visual elements on a page to create dynamic marketing or educational communications. My goal is to partner with my clients to create a story that can educate and inform a consumer, a patient, an investor, a juror, a student, or a healthcare professional. Ed Zilberts is a graphic designer/art director, a Certified Medical Illustrator (CMI), a Fellow of the Association of Medical Illustrators (FAMI), and is a past member of the Board of Governors for the Association of Medical Illustrators. Ed holds a masters degree in Biomedical Communications from the University of Texas Health Science Center at Dallas (Southwestern Medical School), Dallas, Texas and a Bachelor of Arts in Zoology, from the University of Washington, Seattle, Washington. Designing and illustrating instructional communications has been a big part of our experience. Projects representing many medical categories have included IFUs, quick start guides, training manuals, surgical manuals and presentations targeted to consumers and/or healthcare professionals. Thank you so much for contributing your stunning artwork to TEDMED. It really helped create a wonderful atmosphere and contributed mightily in making the event something special for all our attendees.